THIS ARTICLE WRITTEN BY GERMANO DA CUNHA DIOGO SAFFIER, IT INFRASTRUCTURE ARCHITECT, IS PART OF OUR GUEST BLOG SERIES. PLEASE CONTACT US IF YOU WOULD LIKE TO BE FEATURED ON OUR BLOG. In the DevOps universe, the need to allow professionals to abstract layers of computing environments at the most varied levels within IT pushes the definition and limits of software development, day by day. This has been happening not only in applications, but also in infrastructure, making life easier for professionals with the use of playbooks that are managed by the most diverse tools such as Ansible, Chef or Puppet, and orchestrated by automation solutions such as Rundeck. In addition, the development cycle includes continuous integration pipelines through Jenkins, TFS, CircleCI or Bamboo, as well as the increasingly simplified management of virtual environments by Docker, Microsoft, VMWare, Redhat and others. Even in hardware solutions, manufacturers have been working hard to support infrastructure abstractions both on-premises and in the public cloud (e.g. Azure, Amazon Web Services, Google Cloud Platform, Rackspace, etc. ), as well as in storage, network and management. And with the popularization of containers — notably Docker — container orchestration platforms such as Kubernetes, Swarm and Mesos are being used more and more in production environments. Even desktops, through Hyper-V, VMWare, VirtualBox, or Vagrant, allow levels of abstractions to the local environment. Indeed, this is quite a lot to remember. But since one of the main points of abstractions is the concept of ephemerality (passive or non-durable environments), these same environments are crafted so they can be recreated from their respective playbooks. But where does all of this originate? What tool does the professional use as a starting point? Even with playbooks, one still needs a reference to a server, a page to access, or a place to start saving important information from the environment, such as accessing the Cockpit url, managing the cluster, or accessing Hyper-V or VMWare. In addition, one needs to know who should manage all of this, who should have security access to various systems/switches/routers (etc. ), how to fulfil compliance needs, and how to audit everything. Scenario 2: You want to release access on one of Grafana's dashboards (or other legacy tracking solution), or Kibana to quickly look at a log. 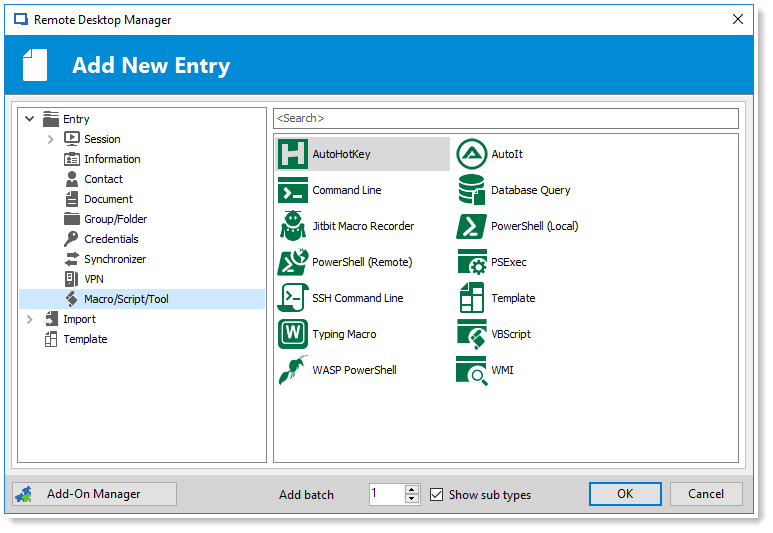 Using RDM’s security features, if you wish to limit the access or just create a New Entry, you can create a URL as a single entry or associate to an existing entry by creating a Sub Connection inside the entry you already have. Scenario 3: You need to find a certificate to access a server, or the URL of a Wiki that you never use, and you do not know where to start — all you have is the name of the product. 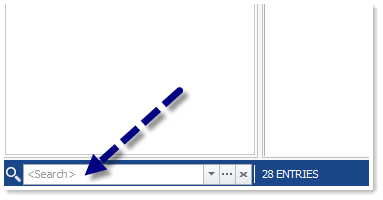 You can use RDM to add a document to an entry, and search for entries. Scenario 4: You want to put a command that has not yet been optimized to run a kubectl command in a certain environment and that you find easy, but you forgot about it because you do not run it as often (because you are constantly updating the environment). Have you imagined all this? I’m sure there are many other scenarios that play out each day in your environment. 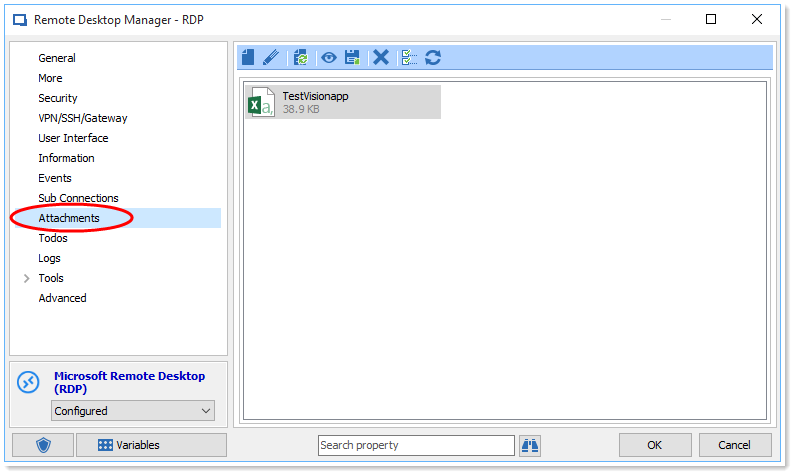 This is where tools such as Devolutions’ Remote Desktop Manager come in. It’s extremely easy to use and comes with a multitude of features to complete your automation and abstraction ecosystem — all without the risk of leaking sensitive information.